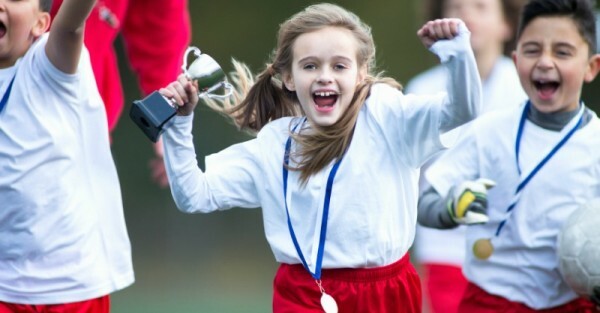 Competition in children - should we shield kids from winning and losing? Competition in children – should we shield kids from winning and losing? Experts agree that learning to lose is one of the hardest lessons for children to comprehend and some suggest that competition should be avoided completely until a child reaches a certain age. Many schools in New South Wales have taken the plunge and axed competitive sport where there are clear winners and losers in favour of an ‘everyone wins’ policy. The move has caused a major debate among schools, sport organisations and parents. What do you think? Should all schools be following their lead in order to spare children’s feelings of disappointment or will shielding children from victory and defeat turn our children into softies who are unable to cope with reality? Northbridge Public School is one of the many Sydney primary schools that has scrapped first, second and third places for children in grade two or lower. Instead, all entrants who compete in sports carnivals and other sport through the school will receive participation ribbons so no one feels excluded. A spokesman for the NSW Education Department explains that the aim of non-competitive sport is to help encourage skill development rather than set winners apart from losers. Sport is about encouraging them to do their best, no matter what the end result is. Some sport organisations across the state have also adopted the “no-win” policy with no scores, no tables and no grand finals until players reach 12 years of age. Ben Burrows, owner of the Marrickville’s Red Devils Football Academy, said it was a cultural shift with the goal of giving players a love for football – win or lose. “In our opinion taking the pressure of winning out of the equation leads to greater performance all round,” he says. However many experts, including child psychologist Michael Carr-Gregg, tend to disagree, claiming that shielding children from competition is harming them. “Where is the incentive to achieve and get better? When you take away the ability to win and lose, you are taking away the capacity to develop resilience and the ability to overcome, face and be strengthened by adversity,” he says. Child and Youth Health states that it isn’t until a child is ten or eleven that they have an understanding of winning, losing, cheating and doing the right thing. As a parent it is easy to see both sides of the debate. There is no greater feeling than watching your child feel pride, joy and happiness when they do win. But, there is nothing more heartbreaking than watching your child suffer disappointment when they don’t. Recently my five-year-old son competed in his first cross country race. He did great. He trained every night for a week. He ran the full 400 metres without stopping and he had a big smile on his face the entire time. That is, until he crossed the finish line and didn’t receive a ribbon. Then the waterworks started. The truth is that there are no participation ribbons in life and disappointment is inevitable. But should this lesson be taught at such a young age or should we let kids hold on to this innocence for just a little longer?